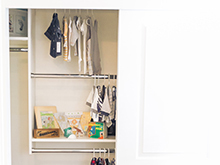 There are countless fun projects that feature a California Closets collaboration and we wanted spotlight one of our favorite nurseries for fashion and lifestyle blogger, Ashley Fultz, whose creative eye can be seen throughout her popular blog, The Style Editrix. 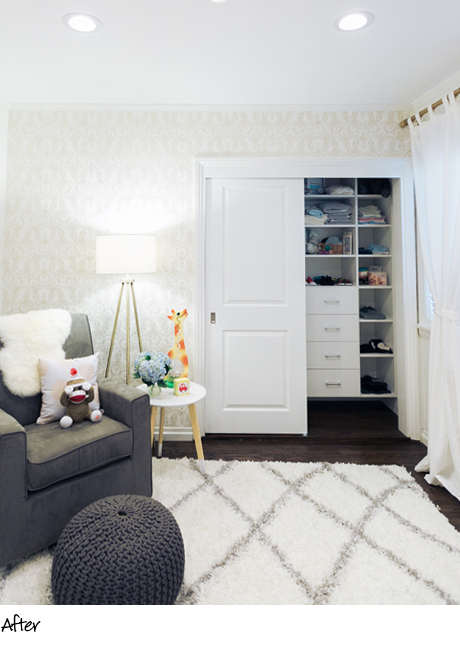 Working with California Closets design consultant, Katharine Mills, Ashley wanted to create a functional closet system for her first nursery. At the time, the mom-to-be envisioned a transitional design that would optimize the small area and meet changing storage needs over time. When it came time to design our nursery, I knew we needed help to design the perfect closet for our babe! I was so excited to meet with California Closets who sat with my husband and I to design the closet of my dreams for baby Smith. To keep the nursery fresh and gender-neutral, Ashley chose a timeless palette for the project. 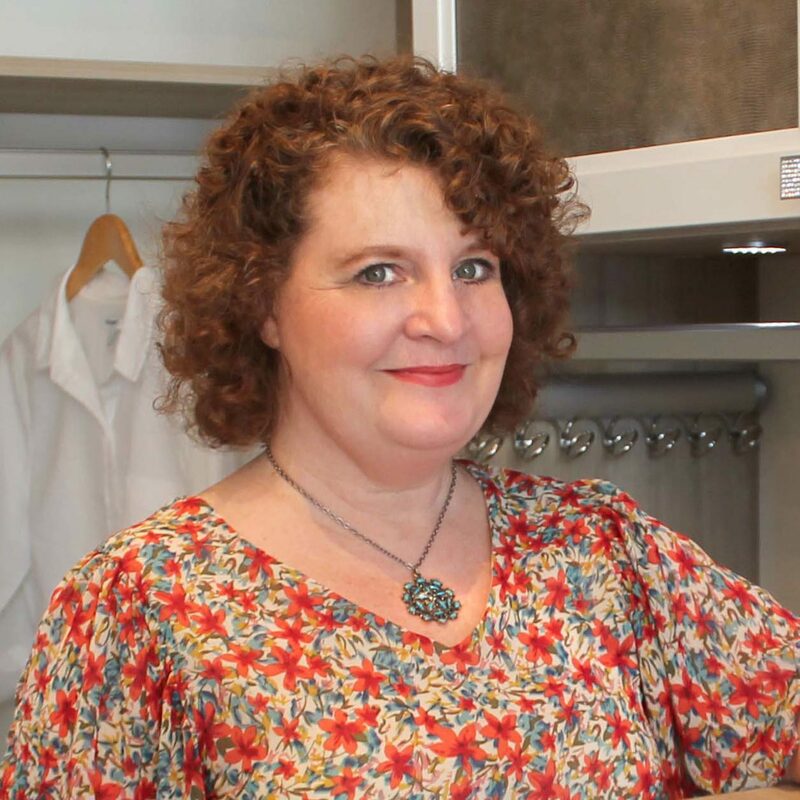 Katharine designed the custom closet system with Ashley’s needs and aesthetic in mind, selecting materials that matched the room’s white trim. Katharine’s design included plenty of drawers, moveable shelves and cubbies for simple, accessible storage. 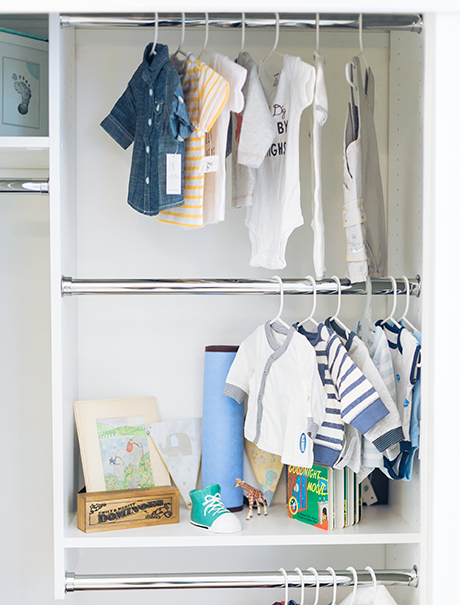 A triple hang selection offered a perfect solution for the baby’s small clothes, but also featured a removable rod to easily increase space for new clothes as the baby grew. 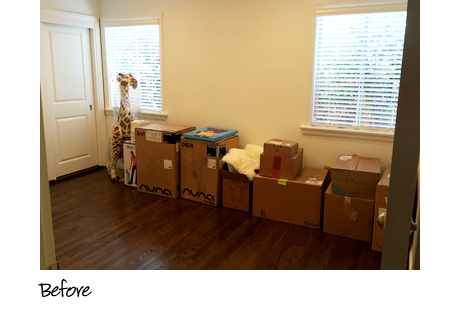 The process was seamless and within a few weeks they came back to build the closet out all in a few hours. 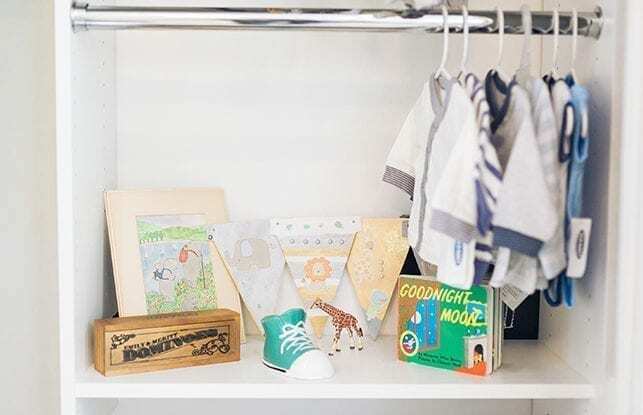 We have the perfect amount of shelf, drawer and hanging space for all of his little clothes and accessories – plus the closet is beautiful! 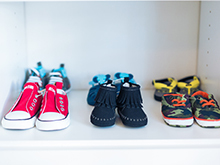 The final nursery closet result gave Ashley the day-to-day organizational support she needed, but also the flexibility to make adjustments over time, giving her a system she and her baby could grow into and enjoy.